The Muse is a fond fan of her Benefit Lemon Aid so when she seen Neutrogena Skin Soothing Eye Tints she thought that here was a rather decently priced substitute! 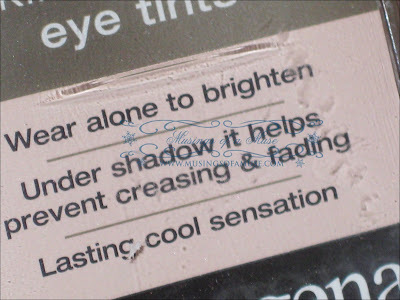 Neutrogena Eye Tints promise to brighten up the eye area just like Benefit Lemon Aid but at a mere fraction of the cost plus had the added benefits of multitasking as a primer and having a cooling sensation to calm puffy eyes. Will it replace my beloved Benefit Lemon Aid? Find out after the jump! 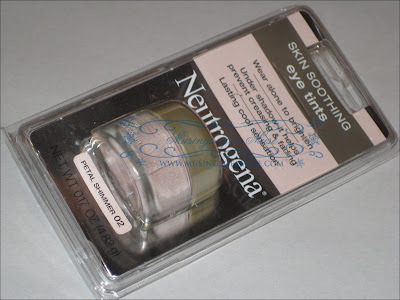 One of the first things that kinda puzzled me about Neutrogena Eye Tints was the entire cooling sensation epidemic. I didn’t get it at all. 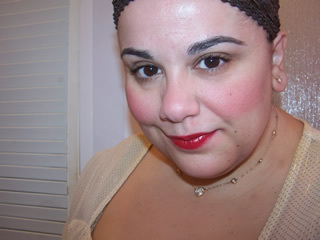 My eyes do become puffy but that’s under my eyes not on my lid area….does anyone get puffy eyes around the lid area? Unless you’re having some serious allergies or cried yourself silly I doubt you have problems with this. This promises a lasting cooling sensation for puffy, tired eyes! And guess what? It does delivery a cooling sensation. But completely pointless for me…cooling would be fabs UNDER my eye not over it. Sadly, I actually found that the cooling sensation or whatever active ingredient is doing all that cooling created an irritating feeling for me. I’m unsure if I was having a reaction or what but it made my eye feel very strange and after I washed it off it still felt weird. I experienced a bit of blurriness as well but I’m chalking that up to maybe my eye makeup remover? But either way I thought the cooling was absolutely annoying as hell. The best way to describe it would be as if I had placed some dry ice on my eye lid or something. Fair warning for those with sensitive eyes! Now this is available in two shade selections only which are a flesh colored honey shade and a pale pink shade entitled Petal Shimmer, this is the one I got. The product comes housed in a small glass jar a la MAC Paint Pots. The product has what some may call a “fresh floral” scent however for me it smelled like cheap cosmetics. 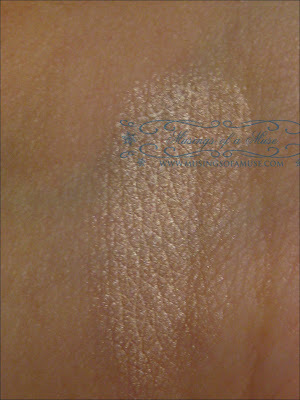 It’s a creamy shimmer which I consider more of a shadow rather than a base or a brightener. I dunno if it’s my skin tone but I experienced no brightening of my eye area at least not the results I’d see using Benefit Lemon Aid which brightens my eye area up considerably. This simply looks like I’m wearing a pale pink shimmering cream shadow which in fact, is what the product is but just advertised as something more which, in fact, it’s not. Well that’s two things it doesn’t do so far. No brightening and no soothing my puffy eyes. Finally it promises to act as a primer for my eye shadow and prevent creasing and fading. Ummm ya….not so much. Mostly it makes applying my shadow more difficult since it pills as I blend my shadow. After the drama of finally getting my shadow on all straight I set out to begin my day and waited out the promise of crease-free shadow! Within 2 hours my shadow began to fall apart, literally. It pilled, it creased, and it just created a whole lot of drama. Not fun. Three uses, one product. Neutrogena Eye Tints promises three products in one little pot. Brightens the eye area? Fail. Prevents creasing and fading? Fail. Sadly, it delivers on none of the promise it makes. I’m quite happy that I paid a sale price of $3.98 USD for this as if I’d paid the retail of nearly $9 USD I’d be crying right now at the unjustness of it all. 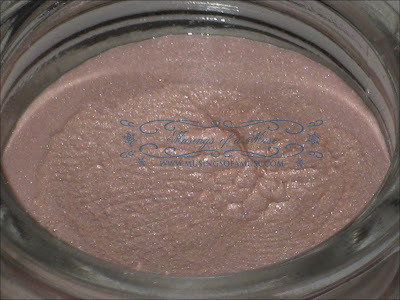 Aside from acting as a very pretty pale pink cream shadow with a hint of shimmer (which I can’t even use it as since it irritates my eye with the “cooling sensation) this pretty much does nothing it claims, so not worth it in this Muse’s opinion. Give the Muse the deets! 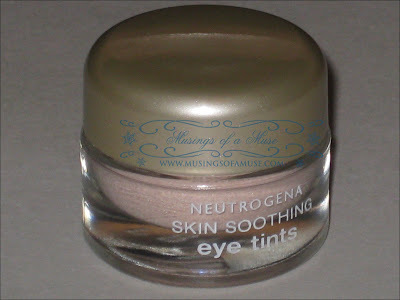 Have you tried Neutrogena Eye Tints? Love ’em? or Leave ’em? Bought this 2 months ago! 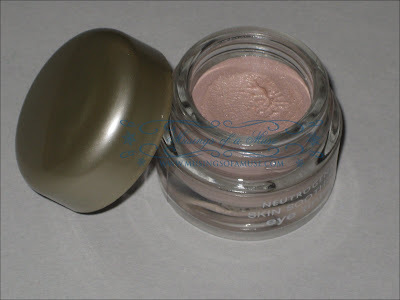 It fails horribly as an eye tint or eye brightener but works wonderfully on my NC20-25 skin as a highlighting product.